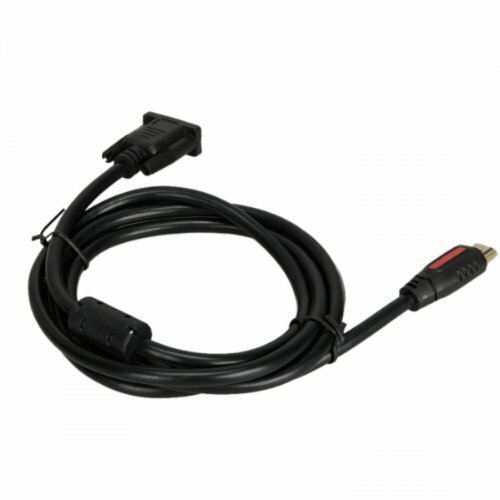 Connects PC or laptop to multiple projectors, LCD monitors, and other video display systems. 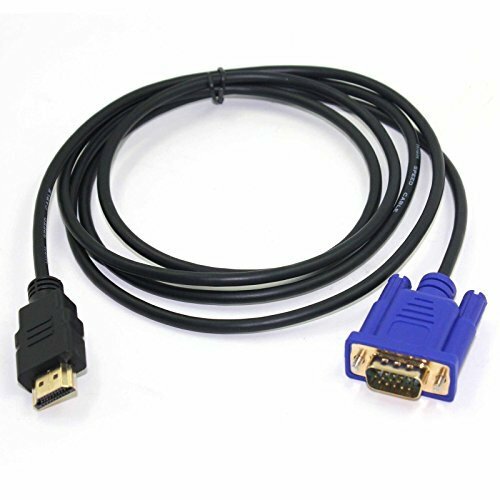 Premium VGA male-to-female video Y-cable supports single VGA signal to be switched in between two monitors without plug and unplug cables. 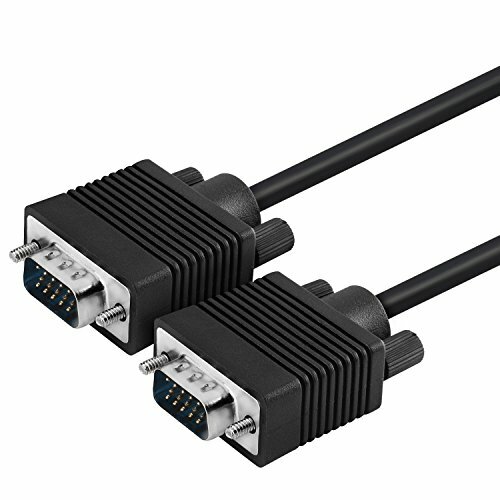 Connectivity: Connector HDDB15 15-pin (M x 1). 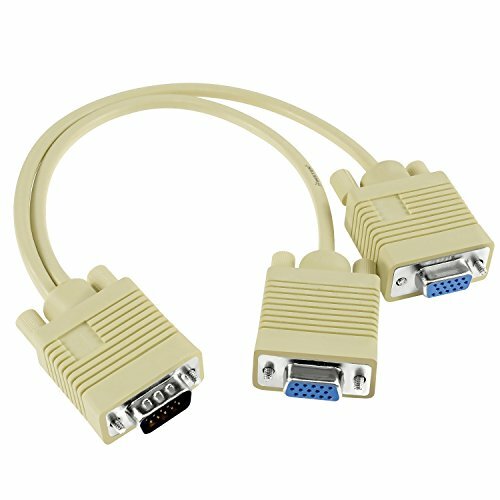 Connector HDDB15 15-pin (F x 2).Length: 7in / 0.2m.Cable Color: Beige. 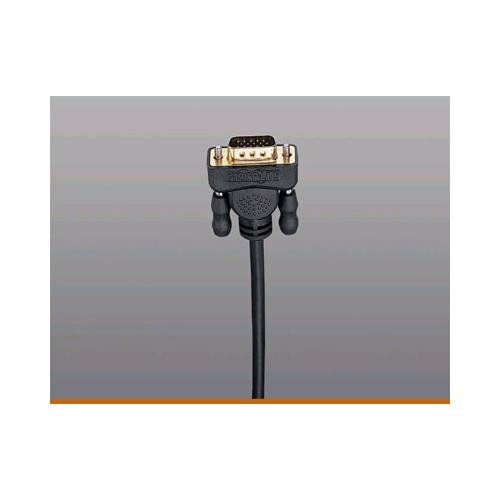 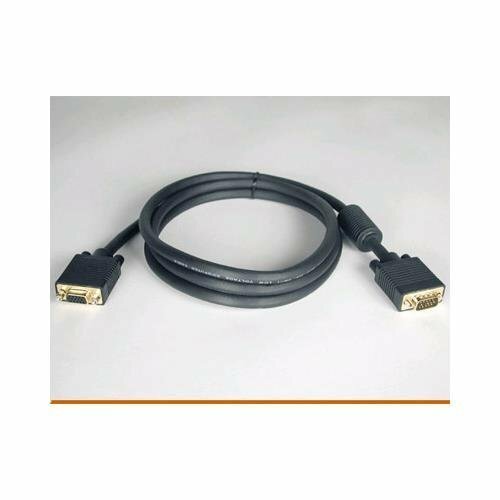 Premium 15 ft HDDB15 male-to-male VGA video for your monitor.Connects PC or laptop to the projector, LCD monitor, and other video display system.Connectivity:Connector HDDB15 15-pin (M/M).Length: 15 FT / 4.6 M.Cable Color: Black.